I see my role as an active one, chasing evidence where most of it is secret, bringing together the work of investigative reporters, whistle blowers, and people spied upon. Why? To empower activists, to engage in the debate, to help prepare the right questions in official investigations — to stand up for a vibrant democracy, or what’s left of it, that’s what scholars should do. The exposure, in 2010, of British NPIOU officer Mark Kennedy as an undercover agent in the environmental activist movement offered insight into how governments monitor political activism. But is intelligence gathering targeting activist groups limited to the state? In Secret Manoeuvres in the Dark: Corporate and Police Spying on Activists, Eveline Lubbers, an academic, activist journalist and researcher with the organisations SpinWatch and Buro Jansen & Janssen, focuses on what she calls ‘grey intelligence’, the informal networks of co-operation between corporate interests and state agencies that are now central to the surveillance of dissent in Western European democracies. 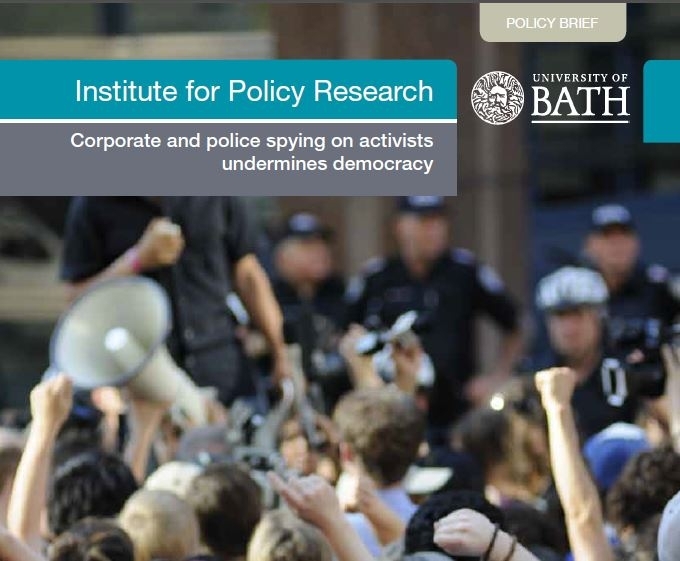 Spying on activists and disrupting their campaigns against the corporations has become a sinister growth industry. What they get up to is brilliantly exposed in a new book by Eveline Lubbers. 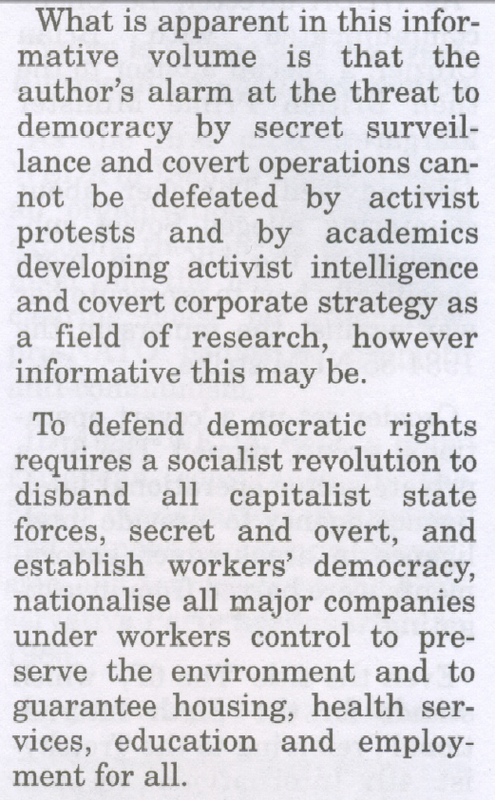 McDonald’s and Shell are two of the mega corporations featured in Eveline Lubbers’s book, Secret Manoeuvres in the Dark: Corporate and Police Spying on Activists. Their efforts to undermine activist campaigns, from anti-apartheid groups to animal right’s advocates, reveal just how seriously these corporations take the threat of any opposition no matter how weak or loosely organized it may be. Lobbying, Spying & Legal Threats. Energy Giants & Gov’t Joint Efforts to Undermine Protest.